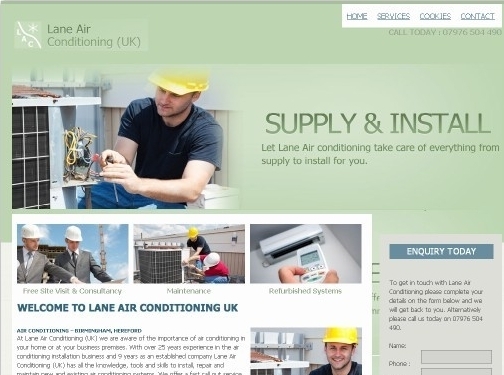 Lane Air Conditioning are a professional company specialising in both sales and installations of high quality cooling systems. They also offer a maintenance and repair service to both domestic and commercial customers, and operate in Birmingham, Hereford and surrounding areas. UK (Bromyard, Herefordshire) based company - established over 9 years ago - providing air conditioning solutions and installation services. Website includes details of solutions / services provided, geographical areas covered, certifications, accreditations, full company contact details including VAT number.